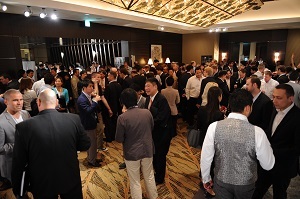 Afternoon events during the 2013 Forex Magnates Tokyo Summit held today at the Manadarin Oriental Hotel in Japan’s capital city provided 700 of the FX and binary options industry’s executives with further points of great interest as the discussions resumed after a pleasent lunch. Following this morning’s discussion panels during which the speakers went into detail on matters relating whether Japan is a viable region for overseas platform providers to accrue business, and on how the Chinese market can be approached, the afternoon’s program consisted of two further in-depth discussions. At 2.00pm, CEO of Japanese giant GMO Click Securities, Hideyuki Takashima was joined by Oki Matsumoto, Chairman and CEO, Monex Group, Hiroshi Fujino, Founder and CEO, GoodWay, Inc. Japan Eric Hayes, Head of Compliance, OANDA Japan Inc. Ai Ishihara, Director of Hirose Tsusho to focus on the subject of whether Japanese brokers can expand their services overseas. Japan hass a very established domestic market with many Japanese traders opting for Japanese firms, along with the nation being host to 35% to 40% of the world’s FX volume. Therefore, this has thus far provided a ripe environment for domestic brokers to garner substantial business nationally, therefore an interesting perspective on expansion abroad was discussed by these executives, all of whom have vast knowledge of the Japanese FX industry. The challenges faced by institutional liquidity providers was discussed at 3.00pm, and delegates were addressed by panel members Takashi Ozeki, Deputy General Manager, Internet Initiative Japan, Tatsuo Shigemitsu , CEO of SBI Liquidity Market, Toshiaki Chiyoda, Business Development Manager, Boston Technologies Japan, Hiroshi Sudo, Director & General Manager at Central Tanshi FX,James Degan, Vice President, Barclays Bank, and Masato Kikuchi, Managing Director, Integral Development Corporation. Subsequent to the panels, a special presentation took place, hosted by Oki Matsumoto, CEO and Chairman of Monex Group and Jannick Malling, Tradable’s CEO, followed by a workshop which handed the spotlight to the most exciting technology start-ups. The binary options industry anticipated the new rulings from Japan’s regulators, as reported last week by Forex Magnates subsequent to final rulings. 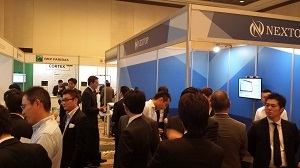 Binary options platform providers therefore were omnipresent at the Summit, as it provided an ideal environment in which to launch their new platform products which conform to the Japanese rules, a critical matter for such firms as Japanese traders make up a significant proportion of their business. The Japanese FSA, in conjunction with the Financial Futures Association of Japan (FFAJ) recently completed the regulatory reforms which were proposed earlier this year, and detailed the full rulings relating to binary options. On this basis, binary options platform providers had spent the earlier part of this year developing new solutions which comply, as Japan is a very important market for this particular product with some of the brands producing substantial levels of business. TRADOLOGIC showcased its Binary 100 platform for the Japanese market, which complies with the requirement set out by the regulators for a set of prices to be displayed for traders to base their choices on, rather than one fixed price. 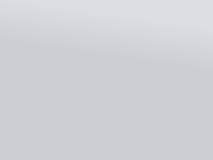 According to TRADOLOGIC, Binary 100 is an option type which allows traders to predict if an event will happen (BUY) and profit from the difference between the purchase price and 100. On the other hand, traders can also predict if an event will not happen (SELL) and profit the contract price. As well as this, the firm upgraded its user experience packages in the form of a series of trading ‘rooms’ under the BX moniker. 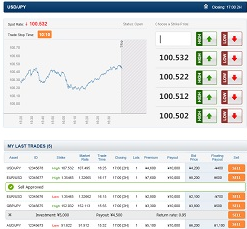 Another firm which considers the Japanese market to be of paramount importance is MarketsPulse, also launching its Japan-compliant new binary options platform, as well as its iPad Application at the Summit. • Fixed Strike Prices: A set of fixed strike prices are issued in advance (to being able to trade), and are offered throughout the trading period so a trader can choose a strike price and trade. • Market-Based Pricing: Call and put options are priced in real-time, offering market-based dynamic premiums. 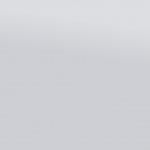 • Buy and Sell Prices: Trading interface reflects both bid and ask prices at all times. • Information Archives: All prices offered and financial data are fully archived. 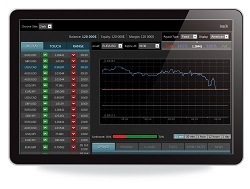 SpotOption has applied a designation to the required set of prices on its new binary options platform. Under the ‘Ladder Trading’ moniker, the firm today released its platform for the Japanese market at the Summit today. As with other market participants, SpotOption has experienced significant market success in Japan, and as a result has opened a branch in Tokyo to support the domestic market. “We’ve worked hard to give the Japanese a product that they can offer the mass amount of traders that are looking for binary options in these regions. Spot Ladder exceeded all expectations, and we’re excited to see the reactions at Tokyo Summit” concluded Mr. Peter. Concluding the day’s events will be the Forex Magnates Award Ceremony, hosted by Forex Magnates Founder and CEO Michael Greenberg, followed by an open bar at the Mandarin Oriental to reflect on the dynamic of a day of networking and debate which brought together the most significant and influential figures in the world’s largest FX market. Forex Magnates will continue to report on the Summit’s events as the day draws to a close, including the results of the Forex Magnates Award Ceremony. The lunch was only agreeable?